Can Monasteries Be a Model for Reclaiming Tech Culture for Good? Hackers are transforming an ancient city into a prototype for the future. Christian monasticism began in earnest in the fourth century CE, just after Constantine made Jesus Christ the official god of Rome. No longer persecuted, believers who craved a holiness less compromised by empire fled to the desert and set up communes. These monastics came to wield power in their own right, putting on display a more strenuous, radical faith. Their successors became Europe’s chief scholars and inventors and also served as guardians for the technology of writing. Early this year, the ancient caves of Matera, Italy, became home to an experiment: an unMonastery, the first of its kind. For the dozen or so unMonks living there, plus the hundreds following their progress online, it carried the quixotic hope of an underemployed generation regaining control of the technology that increasingly commodifies and surveils their lives. Monasteries ushered civilization through the Dark Ages; perhaps unMonasteries, sparing the dogma and self-flagellation, can keep alive the promise of a liberating Internet as companies like Google and Facebook tighten their grip. At the end of its first conference in Strasbourg in June of 2012, a small circle of Edgeryders, with glasses of wine in their hands and under the shadow of a church, dreamed up the unMonastery. The idea was this: find a place with unmet needs and unused space to lend a building to a group of young hackers. Live together cheaply, building open-source infrastructure for the commons. Repeat until it becomes a network. The unMonastery vision went viral in the Edgeryders community. It fit into a widely felt longing at the time, evident in many parts of Europe and North America where protest had broken out in 2011, to start figuring out practical alternatives to the failed order. Occupy activists were learning to set up worker co-ops, and their counterparts in Spain laid plans for Internet-driven political parties. This was the period, too, of Edward Snowden’s leaks, of Aaron Swartz’s suicide, of blockades against techie commuter buses in San Francisco. Google became one of the world’s leading lobbyists, and Jeff Bezos bought The Washington Post. Tech could no longer claim to be a post-political insurgency; it had become the empire. For a year and a half, the unMonastery idea developed and grew. Edgeryders brought their favorite conceptual vocabularies to bear: social innovation, network analysis, open source. They brought their experience with hacker spaces, maker spaces and co-working. The “monastery” in their meme also steered them into the generally foreign vocabulary of religion. Alberto Cottica, an Italian open-data advocate and leading Edgeryder, perused The Rule of St. Benedict, the sixth-century text that governs most of Western monasticism. He discovered Benedict to be a network-savvy, evidence-based social innovator. In Brussels, Cottica met Ilaria D’Auria, who was working on Matera’s bid to be declared a European Capital of Culture by the EU in 2019. The bid proposal centered around the theme of “ancient futures”—“in order,” it said, “to give voice to forgotten places, areas often pushed to the outskirts of modernity, yet which remain the bearers of deep values that remain essential.” The proposal talked about Old World ingenuity alongside open data, sharing and crowd-sourcing. The committee in charge of the bid came to recognize the unMonastery concept, with its supporters throughout the continent, as a useful addition to Matera’s portfolio. The city agreed to provide a building, as well as 35,000 euros for travel and expenses for four months, February through May 2014. 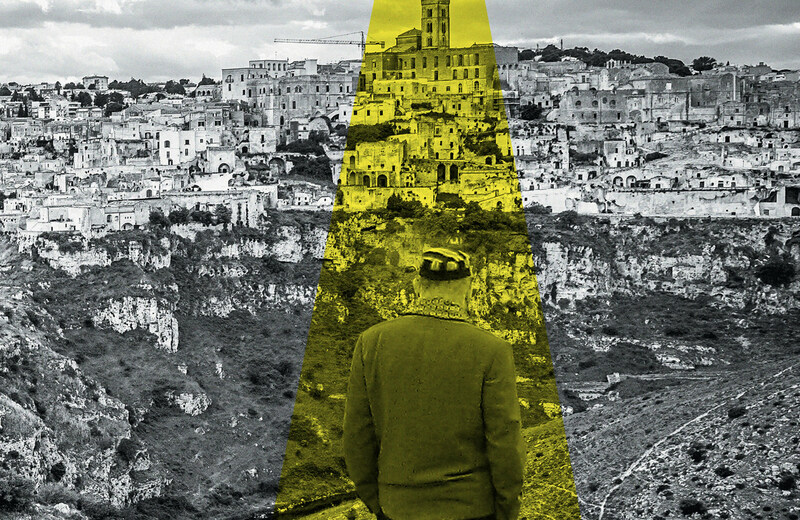 In late October of 2013, some 100 Edgeryders converged on Matera for the group’s third conference—this time focused on making the unMonastery a reality. They let themselves get lost in the city’s half-empty, half-touristy mazes. They talked with locals about their needs and winnowed them down to twelve “challenges,” ranging from alternative energy to a lack of intergenerational spaces. Yet the welcome they found in town was uneasy. Materani may have been cooperating and improvising to survive for millennia, but they weren’t used to calling it “social innovation” or “hacking.” It didn’t help that only a few Edgeryders could speak Italian. The vast complex of cave dwellings in matera—the Sassi—is said to have been inhabited for 9,000 years. Staggered terraces of masonry facades line ragged cliffs that fall into canyons. After World War II, the Sassi became the country’s most notorious slum, and the government emptied residents into modern apartments on the plateau above. For decades the ancient caves lay empty. Pasolini and Mel Gibson both filmed movies about Jesus there. In the 1990s, a band of cultured squatters began to move back in and renovate, leading the way for a tourist industry in an otherwise sleepy city. UNESCO declared the caves a World Heritage Site; the sides of Matera’s police cars now boast Cittá dei Sassi. Most of Matera’s 60,000 residents, however, live not in a romantic past but in a present where it’s not altogether clear what they have to offer in the global economy. Decent work is hard to find, and the city is hemorrhaging its youth. Visible from what became the unMonastery’s patio, down one cliff and up another, are dark abscesses in the rock, their interiors still bearing remnants of paintings from past use as churches and hermitages. Where Matera’s monks and nuns had hours of structured prayer each day, the unMonastery had documentation—the basic act of piety in any open-source project. Before an algorithm can be copied, tweaked and adapted, it must be radically transparent. Monks expose themselves to God through prayer; unMonks publish their activities on the Internet. The presiding unAbbot was Ben Vickers, 27 years old, with patches of gray on either side of his well-trimmed hair and a hooded black coat worn over his banded-collar black shirt. While also more or less retaining his post as “curator of digital” for London’s Serpentine Galleries, Vickers was the unMonastery’s chief theorist and coordinator; the others generally praised his ability to digest and summarize their various points of view, and to document them on the online platforms they use to communicate. He blasted George Michael while setting up breakfast and found a certain glee in the prospect of failure—a turn of mind probably honed during his days in doomed anarchist squats. But documentation can trump even failure; others can study the attempt, tweak it and try again. Some of the documentation looked outward. Maria Juliana Byck, an Occupy Wall Street veteran and videographer, was working on a project to map common resources in town, to help Materani connect with each other and collaborate. There was an “unTransit” app in the works for local timetables and workshops on the gospel of open data. Also under way were an open-source solar tracker, an open-source wind turbine, and coding classes for adults and kids in the unMonastery caves. As in real monasteries, though, much of the unMonastery’s piety went toward scrutinizing the minutiae of daily life. Elf Pavlik, a 31-year-old web developer with pony-tailed hair, had been living for five years without touching money or government IDs. With nearly pure reason, he implored the others to document more and more precisely what came and went, from food to tampons, so they’d learn to budget not by cost but in terms of the resources themselves. Using a software package called Open Energy Monitor, they kept track of the unMonastery’s electricity usage minute by minute, room by room. Keeping track of the longer view was the job of Bembo Davies, a Canadian-turned-Norwegian widower and grandfather, a veteran of the circus and the stage who updated his WordPress chronicle in august prose. Accompanying material evidence—skeletal floor plans, a mannequin’s headless torso—came from an artist who once helped rewrite the official history in her native Hungary. They talked about the unMonastery, even in its first months, as at the beginning of a 200-year history. It didn’t seem like so much time to ask for in a place that has been around for thousands. On a windy day in May, gusts swelled through the unMonastery’s first-floor caves, blowing from the walls various colored sticky notes and hand-drawn posters that looked like they’d been made in meetings heady with excitement and hope. They were schedules, sets of principles, slogans to remember, lists of things to do. A maxim for the Edgeryders’ doctrine of do-ocracy, for instance: “Who does the work calls the shots.” These relics remained on the floor for hours, apparently provoking insufficient motivation to pick them up. In the early weeks, there had been a kind of monastic routine at the unMonastery. At specified times, the group would sit in circles to share feelings and discuss concerns. A flying drone had once captured footage of the theatrical morning exercises that Bembo Davies orchestrated. But by May, the circles and the exercises were on indefinite hiatus. Building a new society in the shell of the old can seem so impossibly hard. Capitalism, meanwhile, makes organizing ourselves look easy by paying us to pretend that’s what we’re doing. Maybe the longing for leaderless swarms in the protests of 2011 partly stemmed from the image of a team at a software conglomerate, or a noncommercial, open-source project nonetheless parasitic on its corporate sponsors. But the kind of democracy and community we glean from tech culture lacks a deep structure, a core; tech culture is particularly good at disguising the reality that its core has become investor returns and Wall Street IPOs. The CEO’s absolute authority dresses up like charisma. Rapt in admiration, we the people are being de-skilled out of actual self-organizing. A few months in, the unMonastery’s communications had become a jungle of platforms, many of them proprietary, with few clear lines between inward and outward: the public Edgeryders website, public Trello boards, a closed Google Group and public folders full of Google Docs. The “ideologically coded” unMonastery website that Elf Pavlik had designed was badly out-of-date and difficult to use, so a Facebook page had become the main means of sharing information with the world. Before, one unMonk had always refused to use Facebook on principle; it was only after coming to this supposedly open-source hacker monastery that he felt compelled to start an account. The unMonastery’s vision of an open-source way of life seemed at risk of becoming a wholly owned subsidiary of the status quo. Like just about everything, all of this has happened before. Theodore Roszak, a critic best known for coining the term “counterculture” in the late 1960s, published a book in 1986 on what he called the “cult of information.” By the early 1970s, those whom Roszak dubbed “guerrilla hackers” had begun to appear at the intersection of the West Coast’s tech industry and radical subculture. They had their own publication, the People’s Computer Company Newsletter, and a mostly theoretical network (with only one actual node) called Community Memory. Their propaganda described the computer as a “radical social artifact” that would usher in a “direct democracy of information”—“actively free (‘open’) information,” of course. This was the leaven out of which arose such icons as Steve Wozniak, inventor of the Apple computer, and the Whole Earth Catalog, which hyped the digital revolution in newsprint with all that newsprint and mail-order could muster. Like the unMonastery, the guerrilla hackers blended the old with the new, the ancient with the postindustrial; users would become communities and machines would become artifacts. Though their projects often relied on state or corporate subsidies, they envisioned their efforts as apolitical, wrapped in the “safe neutrality,” as Roszak put it, of information. With the power of information, they imagined, old-fashioned political power wouldn’t be needed anymore. Meanwhile, Wozniak’s “homebrew” gadget grew into Steve Jobs’s Wall Street behemoth, which now holds more cash reserves than the US Treasury. By the mid-1980s, Roszak was already speaking of “hopeful democratic spirits like the guerrilla hackers” in the past tense. “Such minimal and marginal uses of the computer,” he wrote, “are simply dwarfed into insignificance by its predominant applications, many of which seriously endanger our freedom and survival.” Even then he recognized the digitalization of education as a privatization scheme, and the near absence of worker organizing in the tech sector, and the unchecked information-gathering capacities of the NSA. He believed that the response was not merely a parade of better apps, but better ideas and stronger forms of organizing. Nowadays, the Bay Area’s Anti-Eviction Mapping Project is having an impact because of its ties to both street protests and campaigns to change housing legislation. The feminist hacker-space Double Union, in the Mission District, is challenging corporate hiring practices through strong in-person networks, as well as by building open-source software together. The unMonks realized, after a few months of getting their bearings, that they’d lived frugally enough and saved enough money to keep going for two months longer than planned. Their foothold in Matera could last through June and July, maybe longer. They were determined to see the project survive beyond the few months the grant from the city had allotted them, and to form stronger ties with the people of Matera, whose needs they had come to meet. One weekend in the middle of May, several unMonks went off to another part of town, a more populated and less touristed part, cleaning up a storefront that had been lent to them for a few weeks. The walls were bright yellow, covered in spots with the repeated, handpainted name of the mobile-phone vendor that had been the previous tenant: teknopoint. “It’s ghastly, but I think we can do something with it,” said Bembo Davies, arriving with cushions and paint rollers. “I love it,” said Lucia Caistor, an urban planner from London who was soon to end her several months’ sabbatical as an unMonk. The weather outside alternated between rainy and overcast, and they got to work pulling up wood flooring that had covered tile below, peeling off stubborn decals and sponging walls. Elf Pavlik sat on the floor with his computer, trying to figure out how to set up Wi-Fi and document what was going on around him. They would be holding a series of events in the storefront the following week to introduce some of their projects to the community. There would be music, kung fu, collaborative maps, a discussion about alternative currency. On one of the days, they’d do a workshop with kids about how to occupy the square next to a school—training the next generation of Indignados. This was unMonastery 2.0. They were only just barely talking about it that way at the time, but the prototype had finally started to spread into a network. The two extra summer months in Matera proved eventful. “Most of the demons have scurried off and work ethic is buzzing away at a good clip,” Bembo Davies reported in the last days, with his usual telling obscurity. Pavlik brought a new cadre of hackers in for a spell, and dozens of local children attended coding classes. A video of a “co-napping” experiment on the streets of Matera went viral online, though it made some Materani cringe. The wind turbine and unTransit projects came closer to having prototypes of their own; they would carry on even though the unMonastery prototype would be closing. A pack of young locals got to work editing their documentary about it. Ben Vickers scrambled to assemble the unMonks’ fervent documentation into “unMonastery-in-a-box,” a package of lessons and tools for the next iterations. Rita Orlando lived in Matera before the unMonastery came and is still there now that it’s gone. She’s frustrated. People in town mostly just saw the project’s foreignness and naïveté, not its promise or vision. “We’ve been too short on time,” Orlando said. In October, there will be another Edgeryders conference in Matera. The theme is stewardship. A high-level Italian official is slated to be there, as well as representatives from the Pirate Party. Offers of real estate for a new unMonastery have come from Greece, Spain and up near Venice. Its fate in Matera, if any, remains to be seen—and improvised. A few unMonks remain in town. At least one plans to stay for good. Far beyond the Sassi, the unMonastery idea has continued to circulate. Michel Bauwens, an elder statesman in Europe’s peer-to-peer movement, wrote an open letter to Pope Francis suggesting that underused churches and monasteries not be sold on the real-estate market but repurposed as sites of a new collaborative economy. He cited the unMonastery as a model. “These new practices are recreating the moral economy of the future, and could learn from the moral economy of the past, when the Church played such a vital role,” Bauwens wrote. “On the other hand, by engaging with these vital forces that are changing our society and civilization, the Church would also learn about the new spiritual needs that are co-emerging from these practices.” Already, monks at two real monasteries in Italy have expressed interest in having an unMonastery in their cloisters. Bauwens wrote the letter from Ecuador. There, much as Matera had brought the unMonastery, the national government commissioned him to help lead an unprecedented effort to design policies for an economy based on open knowledge. He envisions a “partner state” that would encourage cooperative control over production and rein in intellectual property laws, fostering an open-source society that would stem the flow of surplus value to the rich while rewarding people for enriching the commons. The pieties of the unMonastery, that is, would become norms. The unMonks were watching communities like theirs develop elsewhere, from the mysterious Calafou complex outside Barcelona to the pop-up phenomenon dubbed [freespace] in San Francisco. Dmytri Kleiner, a denizen of the hacktivist Shangri-la of Berlin, has coined an adventuresome moniker for the new surge of communities: “venture communism.” He insists on the sensible Old World notion that transforming the economy should start with securing the means of production, digital and otherwise, in worker collectives. Maybe the unMonastery really is a protocol that can travel, that can go to other places with unused spaces and unused people who want to do good. These spaces could become workshops for commons-based resources, or bulwarks against gentrification, or hubs for disaster relief—with or without permission. A lot of religious communities are trying to figure out how to put their empty buildings to use these days, while preserving some kernel of their traditions. And there’s a fed-up generation looking for the resources, both material and spiritual, to create a society more worth living in. People want to hack, but also to experience some tangible inkling of a future that can sustain them. Doing so, however, requires tangible politics. If the new wave of guerrilla hackers is to hold on longer than its predecessors, it needs to build power. The hackers need allies at every level: local organizations, organized labor, political parties—allies that their practices can support and that, in turn, can help their values spread. What would an open-source party look like? Or a unionized hacker-space? Churches, too—the turn to religious tropes need not remain solely superficial. These relationships can seem like compromises with the past, but what seems new and original almost never really is, except to the degree that we fail to remember. The prefix “un” has its uses—for marking a new beginning, for putting aside certain inadequacies of the past—and yet one cannot go on negating and reinventing everything forever. Ancient monks had to learn this, too. First the desert hermits, then the Benedictines, then the Franciscans—each fled the world, while the world did all it could to domesticate them. To last, and to transform society, they had to build power within church structures as well as outside them, making strategic compromises in the process. This meant playing politics—a distinctive kind of politics, though politics nonetheless. Nuns and monks formed ties with the communities around them and established embassies to the Vatican. They had their protocols, perhaps, but protocols on their own were not enough. There may come a time when spiritual-social-political institutions with features such as those of the prototype in Matera will be content to drop the “un” and call themselves, simply, monasteries.